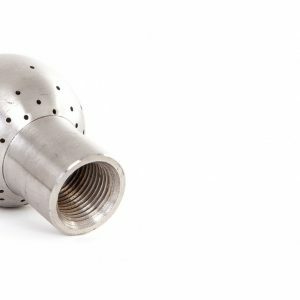 Our plastic rotating spray heads are designed for better and faster cleaning of small containers, beer kegs and tanks of sizes up to 1 metre diameter. They are manufactured from PVDF for enhanced performance and durability. 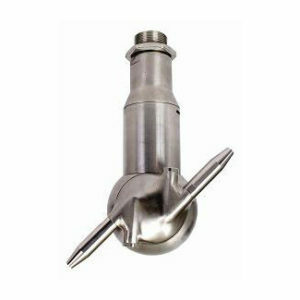 There are two versions of this nozzle available, the 360 degree plastic tank cleaning head and the 180 degree plastic container cleaning nozzle. 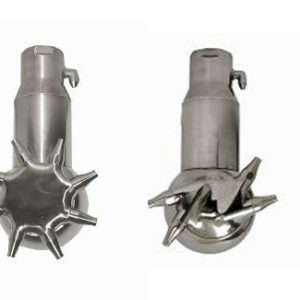 Both these nozzles have 1/2″ BSP female threaded connection and are compact in size meaning that they can fit inside small openings in vessels where required.